The broad focus of my lab is to understand at the molecular level how bacteria are able to evolve so rapidly. In a little over half a century, strains of 'golden staph' (Staphylococcus aureus) have become resistant to most useful antibiotics. As a result, this bacterial pathogen remains a major cause of hospital-acquired infections around the world, and it is increasingly a cause of serious infections in the general community. In most cases, MRSA (methicillin-resistant S. aureus) has become resistant by capturing pre-existing resistance genes and integrating them into its genome. Redefining antibiotic resistance plasmid transfer in Staphylococcus aureus; Firth N, Ramsay J, Bond C; National Health and Medical Research Council (NHMRC)/Project Grants. A Research Platform for exploring the Genotype - Phenotype Nexus; Harry E, Paulsen I, Wilkins M, Waterhouse P, Scott R, Djordjevic S, Neilan B, Cavicchioli R, Charles I, Packer N, Rose R, Firth N, Hutvagner G, Whitchurch C, Willows R, Church W; Australian Research Council (ARC)/Linkage Infrastructure, Equipment and Facilities (LIEF). 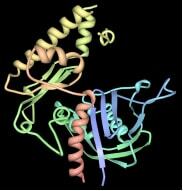 Mechanisms of alpha-hemolysin induced immunoevasion by Staphylococcus aureus; Weninger W, Jain R, Firth N; National Health and Medical Research Council (NHMRC)/Project Grants. DNA segregation in multiresistant Staphylococcus aureus; Firth N, Schumacher M, Jensen S, Skurray R; National Health and Medical Research Council (NHMRC)/Project Grants. Coordinate regulation of a conjugative staphylococcal multiresistance plasmid by a global regulator of transcription; Firth N; University of Sydney/Research & Development. Molecular genetics and evolution of antibiotic resistant staphylococci; Firth N, Skurray R; National Health and Medical Research Council (NHMRC)/Project Grants. Photometrics cascade: 650 digital imaging system; Firth N, Skurray R; National Health and Medical Research Council (NHMRC)/Equipment Grants. Transcriptional analysis of the staphylococcal insertion element IS257; Firth N; DVC Research/Research and Development Scheme: Newly Appointed Staff (NAS). 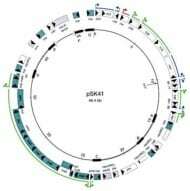 Plasmid maintenance and interactions with the host cell and its genome; Firth N, Skurray R; Australian Research Council (ARC)/Discovery Projects (DP). NHMRC EQUIP 2002 Brown-cls; Brown M, Firth N; National Health and Medical Research Council (NHMRC)/Equipment Grants. Molecular genetics and evolution of antibiotic resistant staphylococci; Skurray R, Firth N; National Health and Medical Research Council (NHMRC)/Project Grants. Molecular genetics and evolution of antibiotic resistance in staphylococci; Skurray R, Firth N; National Health and Medical Research Council (NHMRC)/Project Grants. Macromolecule extraction and analysis facility; Firth N, Cullen K; Clive & Vera Ramaciotti Foundation/Research Grant. 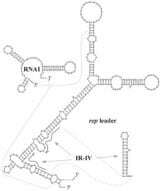 Molecular biology of bacterial conjugative macromolecular transport; Skurray R, Firth N; Australian Research Council (ARC)/Large Research Grants (LRG). Firth, N. (2003). Evolution of antimicrobial multi-resistance in gram-positive bacteria. In Carlos F. Amabile-Cuevas (Eds. ), Multiple Drug Resistant Bacteria, (pp. 33-60). Wymondham, UK: Horizon Scientific Press. Ai, Y., Firth, N., Jermiin, L. (2003). Teaching Bioinformatics: A student-centered and problem based approach. CAL-Laborate, 2003 (June), 25-30. Ai, Y., Firth, N., Jermiin, L. (2002). Building bridges in teaching bioinformatics: The use of stu-dent-centred teaching and problem-based learning in cross-discipline courses. The China Papers: Tertiary Science and Mathematics Teaching for the 21st Century, (1), 51-56.